Yesterday one of my heroes died. His name was Joe Paterno, he was 85 years old. Joe Paterno was the football coach at my university, Penn State (The Pennsylvania State University). He was the head coach from 1966 until November of last year. My parents also went to Penn State from about 1968-1972. Joe Paterno was the coach at that time, too. His nickname was "JoePa". At American universities, football is a very popular sport, similar to the high school baseball tournament here in Japan. There are 120 teams in the top division, and the teams play about 12 games every Saturday from September to December. The most popular teams are on TV every week. Penn State games are almost always on TV. Most coaches of university football only coach 5-10 years. It is a stressful job, and many coaches are fired if their team does not win. The current longest working coach has been at his school just 13 years. Joe Paterno was the head coach for 46 years! Joe Paterno was famous for many things. He was famous for how long he coached. He was famous for winning two national championships (1984, 1986). He was famous for winning, he won 409 games in his career. That is the most wins ever by a coach. But he is most famous for being a great leader. In many college sports in America, athletes often don't graduate from school, but about 78% of JoePa's players graduated (the average is 67%). He was famous for always walking to work, living in a small house even though he was rich and for always rolling up his pants and wearing black Nike shoes. He also helped grow the name of Penn State. Because he was famous, the university became famous. 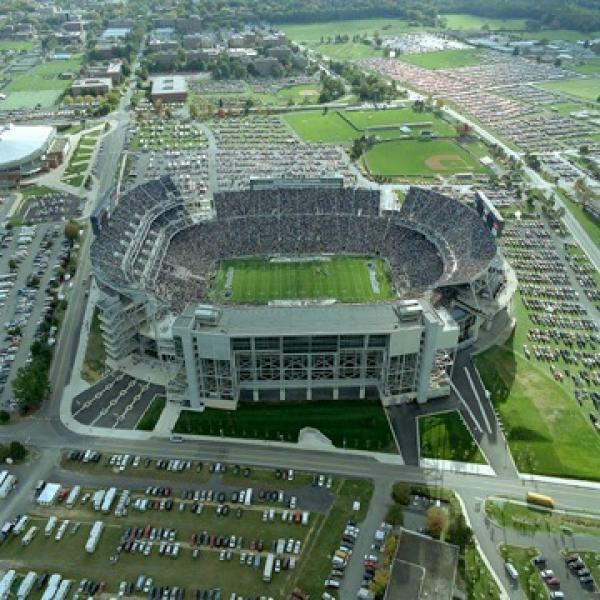 Now, Penn State has the 2nd largest stadium in America, including professional stadiums. The stadium can hold 108,000 people. JoePa also helped build a new library at Penn State. He gave $4 million dollars and also helped to get other people to donate money. Ever since I was young, I used to travel to State College, PA with my Dad to watch Penn State football games. My Dad was a big fan of Penn State football and Joe Paterno, so I became a big fan too. 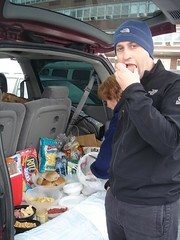 There is a great tradition called "tailgating" at football games. 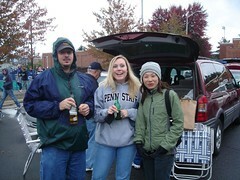 Tailgating is when people arrive to a game early and have a picnic in the parking area before the game. At Penn State, tens of thousands of people tailgate before each home game, it is a very good time. Ayumi has gone to a few games with my family, too. I will miss Joe Paterno, but Penn State University and Penn State football will continue. My father's father also went to Penn State. He played on the baseball team and graduated in 1933. So I was the 3rd generation to attend Penn State. I hope that someday Tatsuki is interested in studying there too.